My colleague, Jonathan Lopez, made a compelling argument on why the Geneva Motor Show is the best annual auto show in the world. I wholeheartedly concur. At the very least, it’s without question the biggest and most attended auto show as automakers from all over the world showcase their latest wares, and in many cases, preview what’s to come. 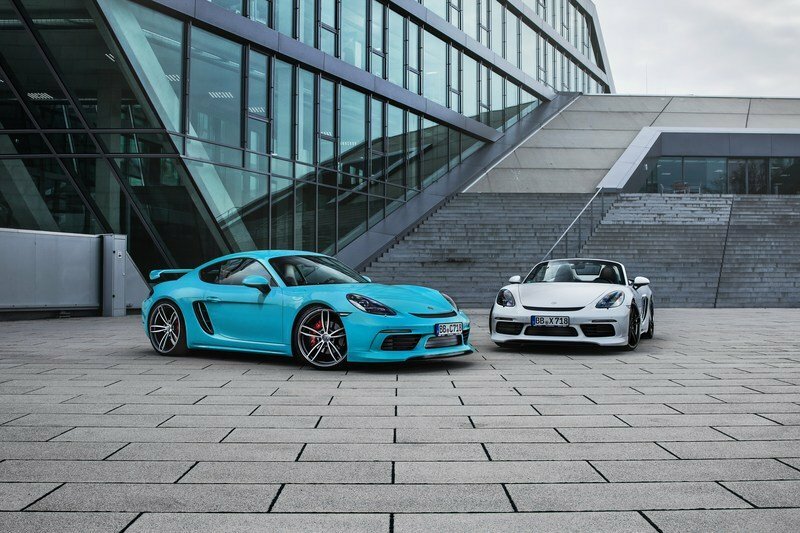 Aftermarket tuners are also heavily involved in Geneva with their new tuning programs and this year’s Geneva is no different with the likes of TechArt bringing with it a new tuning kit for the Porsche 718 Cayman. 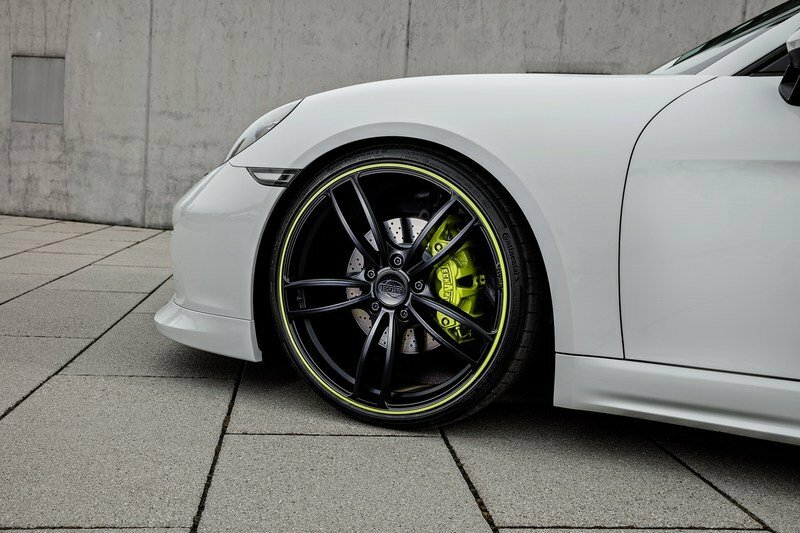 As one of the industry’s leading tuners with anything related to Stuttgart’s finest, TechArt’s portfolio of Porsche tuning programs is as good as it gets. It’s worked on just about every iteration and variant of the 911. It also has experience working with the Panamera and Porsche’s two SUVs, the Cayenne and the Macan. Now, the German tuner is setting its sights on the newest member of the Cayman family with an extensive aftermarket upgrade program that tackles all important aspects of the sports car. Exterior upgrades? Check. Interior appointments? Check. Engine update? Check. Chassis and wheels? Check and check. 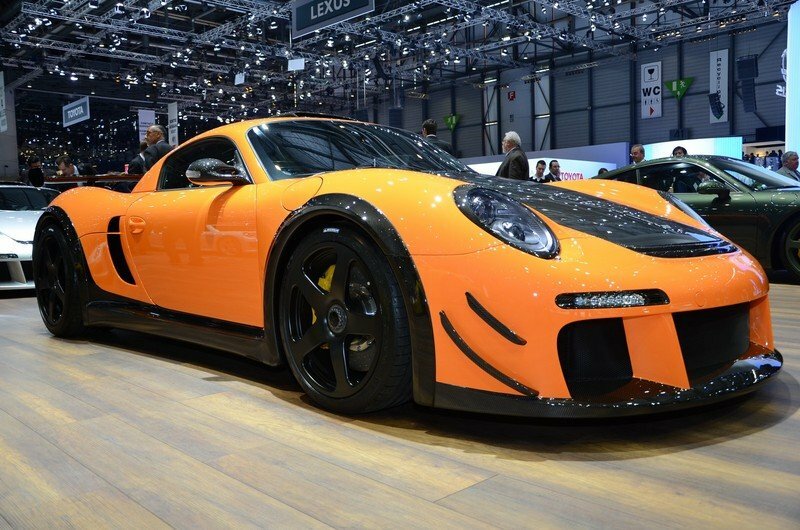 The result is what you’d expect from a tuner who knows its business like TechArt. Not only was it successful in dramatically altering the 718 Cayman’s appearance, but it also managed to bring more life to the sports car that only a tuner that knows what it’s doing can do. 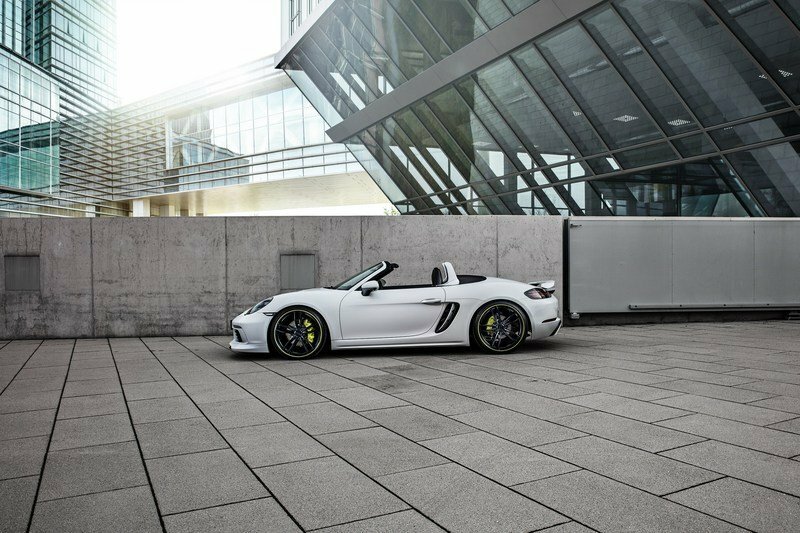 The 718 Cayman tuning package is all set to make its debut at the 2017 Geneva Motor Show. From there, expect the program to become available to eager-beaver owners of the sports coupe who are in the market for some aftermarket loving’ for their brand new Caymans. 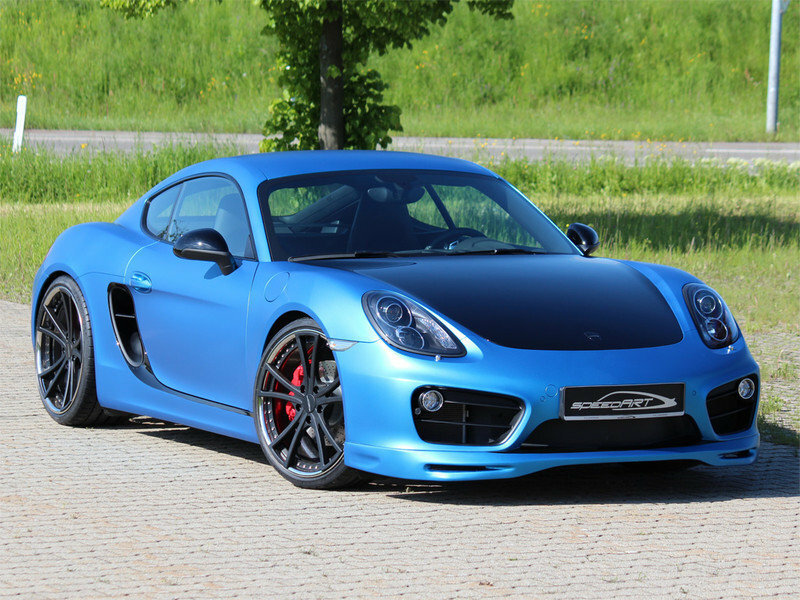 Continue after the jump to read more about the Porsche 718 Cayman by TechArt. To get the ball rolling, we have to talk about TechArt’s exterior upgrades for the 718 Cayman first because there’s a lot of them. First, there’s the aerodynamic body kit, which as many of you know, is all about enhancing the car’s looks and handling capabilities. TechArt addressed those two things by adding a two-piece front spoiler that comes with its integrated splitter. It may not be obvious from afar, but notice how the lower end of the Cayman now extends a little bit forward with the front spoiler compared to the car’s standard configuration. Note: side-by-side photo of the front sections of the Porsche 718 Cayman and the Porsche 718 Cayman by TechArt. Apart from the front spoiler, the German tuner also added a central air outlet to aid in cutting down the car’s aerodynamic lift and curved air intake fins on the lateral air intakes just in front of the rear wheel arches. The fins, if you notice, even take in the body color of the 718 Cayman. Overall, the front and side sections of the 718 Cayman retain most of its stock looks, but it’s a different story in the rear end of the sports car where two prominent aerodynamic additions dramatically alter its aesthetics. The first is the fixed rear spoiler on the rear lid, which TechArt says is available in either the coupe’s body color or carbon fiber. There’s also an option to add another spoiler to the equation, this one being bigger and bolted on to the car by black anodized aluminum uprights. There’s the aerodynamic body kit, which as many of you know, is all about enhancing the car’s looks and handling capabilities. TechArt addressed those two things by adding a two-piece front spoiler that comes with its integrated splitter. The second prominent upgrade in this section of the 718 Cayman is the rear diffuser, which now takes up space around the car’s two central tailpipes. The fact that the body color of the car can also be applied to the diffuser creates an even more aesthetic independence from the standard version of the coupe. Finishing off the exterior upgrades is a new set of 21-inch Formula IV twin-spoke alloy wheels that are available in 9x21 and 9.5x21-inch sizes. And just like how it’s always been for TechArt, most of the carbon parts that the tuner is offering are available in either matte or glossy surface finishes. 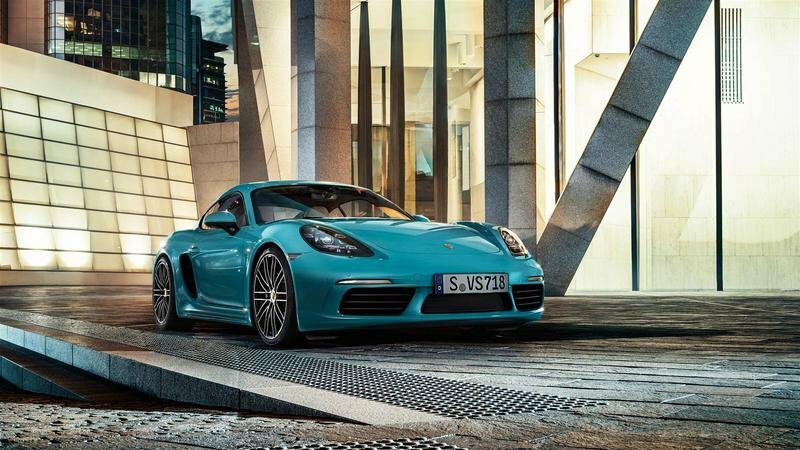 The recent release of the Porsche 718 Cayman – it was only unveiled at the 2016 Beijing Auto Show – means that there haven’t been a lot of tuners that have built specific kits for the new Cayman variant. So in lieu of that, let’s look at what others have done for the Cayman itself, if only to show prospective customers the myriad of options that are available for their sports cars. SpeedArt’s SP81 CR kit dates back to 2014, but even then, the tuner was able to present a package that featured its version of an aerodynamic kit. Among the components it had on offer, included a carbon fiber hood, a new front spoiler (those spoilers are automatic on Cayman programs), a new bumper, a fixed rear wing, and a rear diffuser. In other words, there are a lot of similarities between what SpeedArt offered back then for the Cayman and what TechArt is offering now for the 718 Cayman. That, I’m sure you’ll agree, is no coincidence. Porsche Exclusive. Owners of the 718 Cayman ought to remember that name because that’s the German automaker’s in-house custom manufacturing department. It may not offer as many aero bits as the aftermarket world, but as far as aesthetic upgrades are concerned, an argument can be made that Porsche Exclusive is the go-to place to get them. 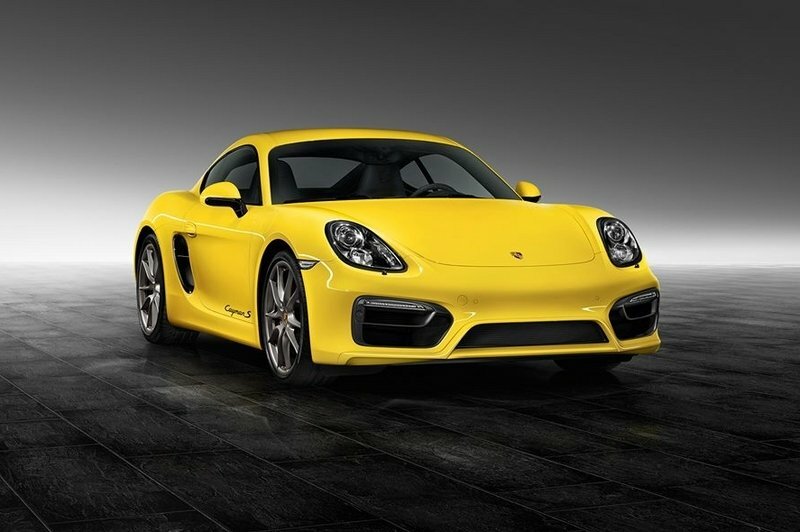 Note: side-by-side photo of the Porsche Cayman S Racing Yellow by Porsche Exclusive and the Porsche Cayman S Agate Grey Metallic by Porsche Exclusive. 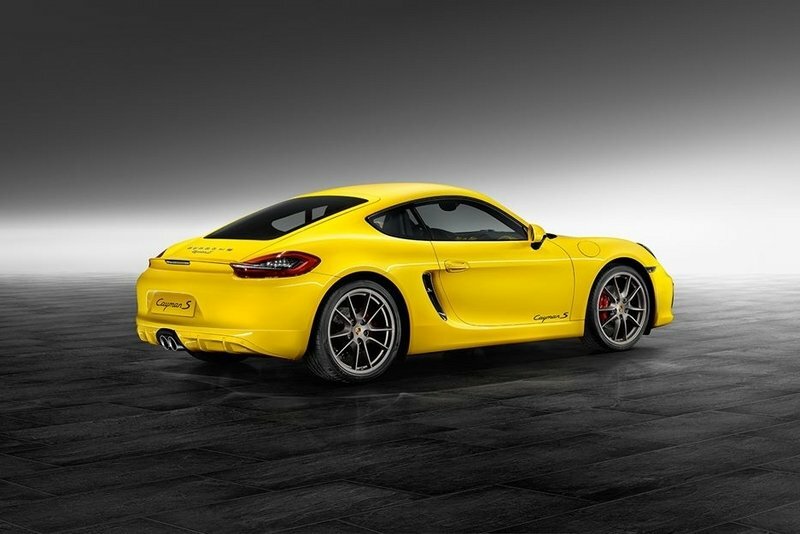 Now we haven’t seen any examples of Porsche Exclusive’s work on the 718 Cayman, but we have seen attractive beauties like the Agate Grey Metallic and Racing Yellow programs in year’s past. Apart from their exclusive body colors, unique accents and trims are common themes among these programs. In some instances, they even include accents on the front fascia, side mirrors, and the rear section. 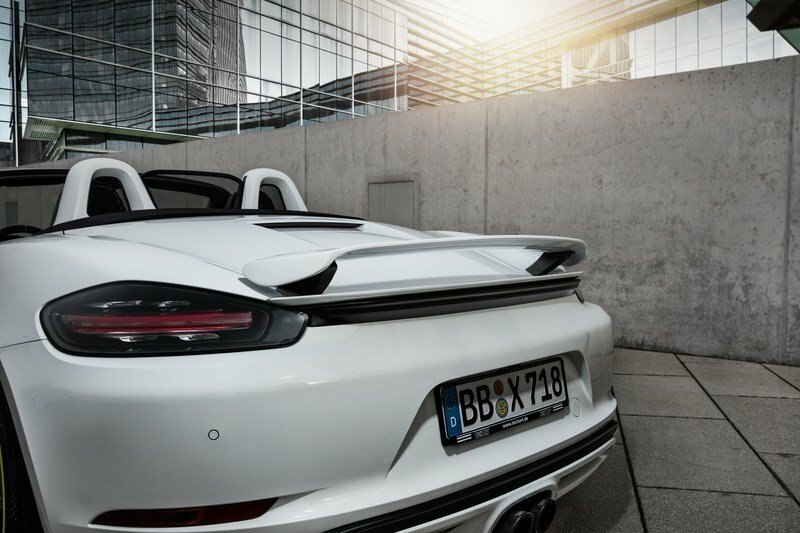 Other times, Porsche Exclusive even throws in new sports tailpipes and a set of its 20-inch SportTechno two-tone wheels for good measure. With so many automakers opening their own personalization programs, it’s a breath of fresh air to see an aftermarket tuner still pay some attention to this section of the car with their tuning programs. 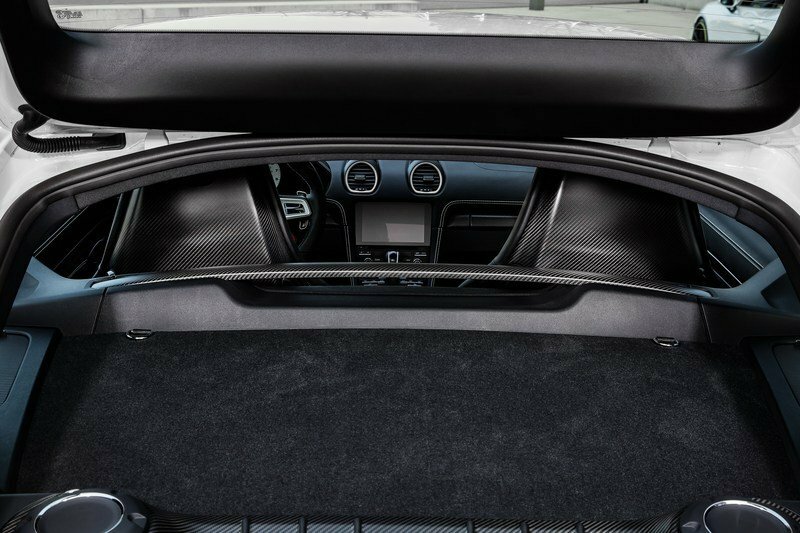 Give TechArt some credit for that because it has some sweet options for the cabin of the 718 Cayman, including carbon fiber treatments for the dashboard, center console, door panel, sports seats, and steering wheel. 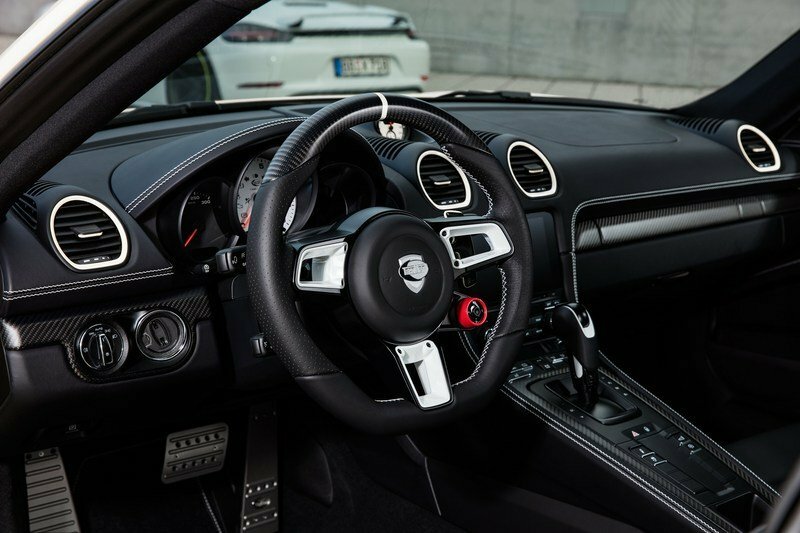 Give TechArt some credit for that because it has some sweet options for the cabin of the 718 Cayman, including carbon fiber treatments for the dashboard, center console, door panel, sports seats, and steering wheel. 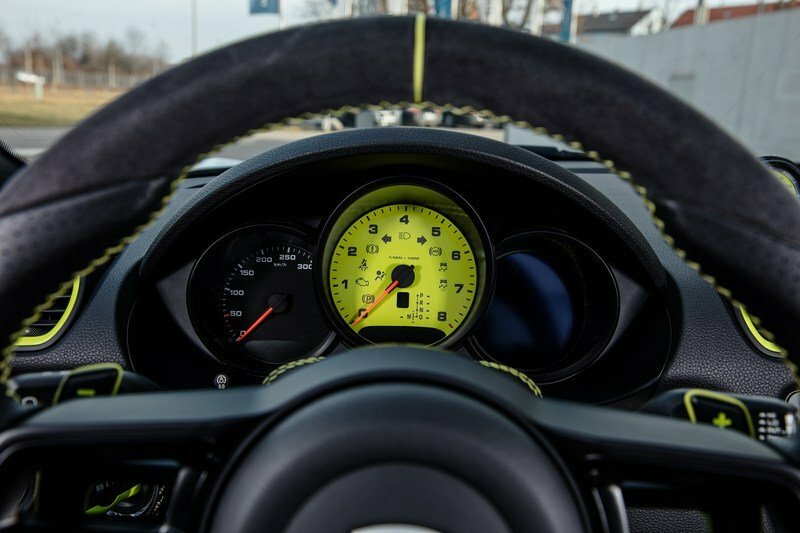 Speaking of the steering wheel, TechArt placed some emphasis on that by opening up a myriad of dress-up options that customers can choose from. 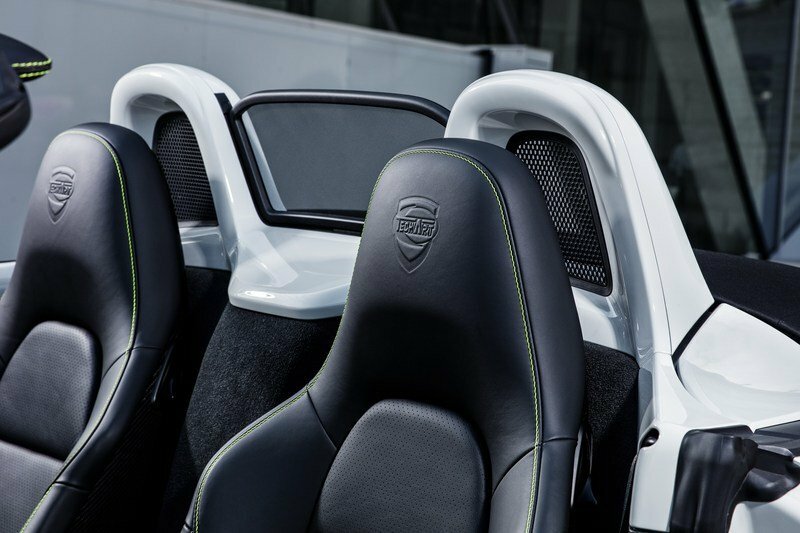 They can opt for beautiful leather, lacquered and carbon fiber trims, leather piping, and even Alcantara. There’s even an option to get a heated steering wheel, just in case that gets drowned out in the menu of available upgrades. Customers can also personalize the steering wheel as they see fit before TechArt’s pool of in-house craftsmen sews everything together. 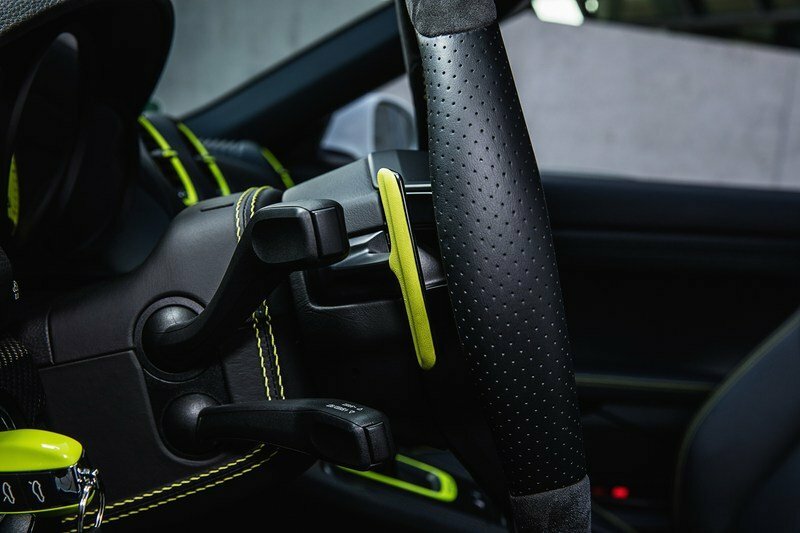 In addition to the carbon fiber offerings and the personalized steering wheel, the German tuner is also offering illuminated aluminum door entry guards, color-matched instrument dials, decorative stitching, and seat back panels that can either be lacquered or dressed up in carbon fiber. Once more, we’re pointing customers in the direction of Porsche Exclusive because, quite frankly, that’s where the business is at. It would be difficult though to specify the upgrades that are available since they’re so many of them to choose from. We do know that those who opt to go this route can drown themselves in items like premium leather, Alcantara, and a host of packages and accessories that Porsche traditionally makes available for cars that pass through the Porsche Exclusive studio. 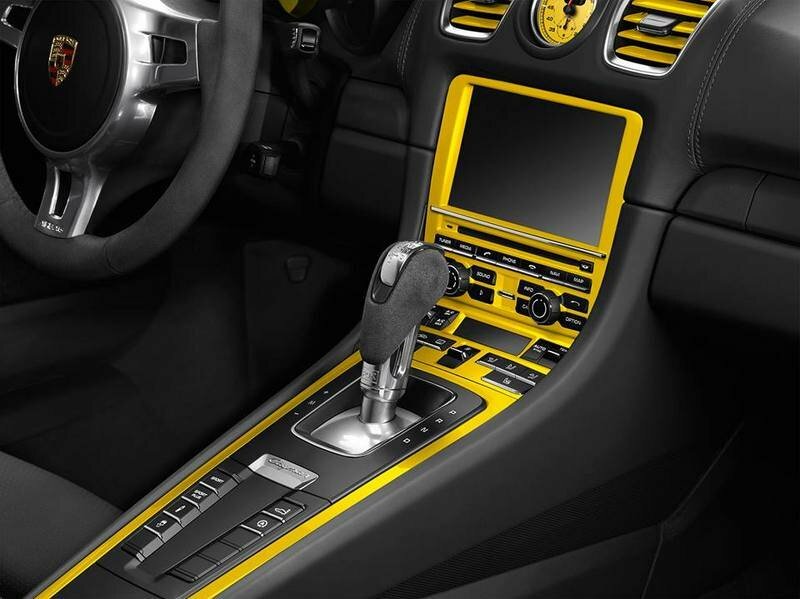 How does an interior swathed in Racing Yellow colors sound? Pretty interesting, right? 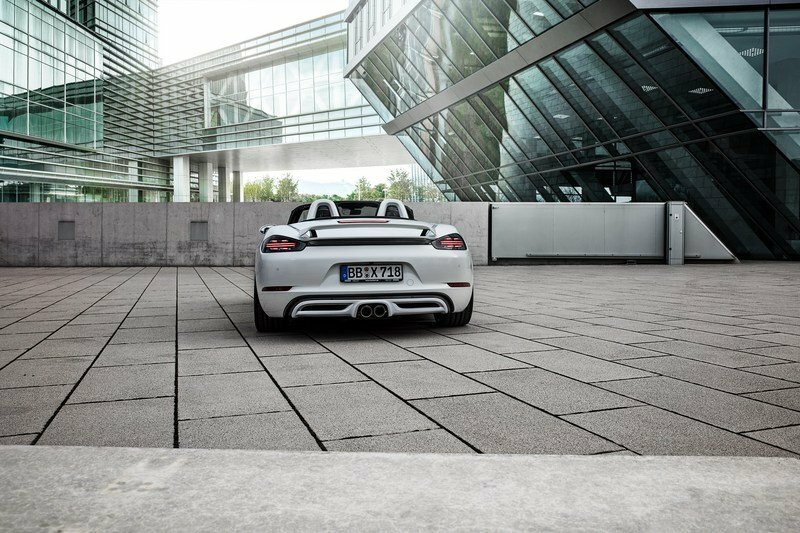 The show-stopping highlight of TechArt’s program for the Porsche 718 Cayman is its TA082/S1 power kit. The predominantly software upgrade helps the 718 Cayman’s 2.5-liter turbocharged four-cylinder engine improve its output from 350 horsepower and 309 pound-feet of torque to an enticing 400 horsepower and 353 pound-feet of torque. 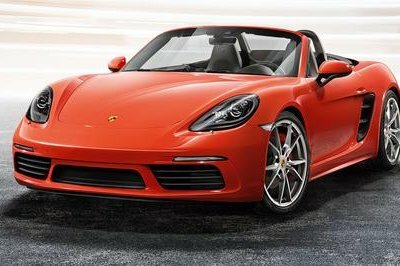 Do the math and that equates to an extra 50 ponies and 44 pound-feet of twist to the 718 Cayman, enough to propel the coupe from 0 to 62 mph in 3.9 seconds, or roughly the same time it takes the Porsche 911 Carrera S to cover the same ground. For what that’s worth, the 718 Cayman’s new “sprint-to-60” time is also 0.3 seconds quicker than a standard 718 Cayman that’s equipped with Porsche’s well-known PDK gearbox. 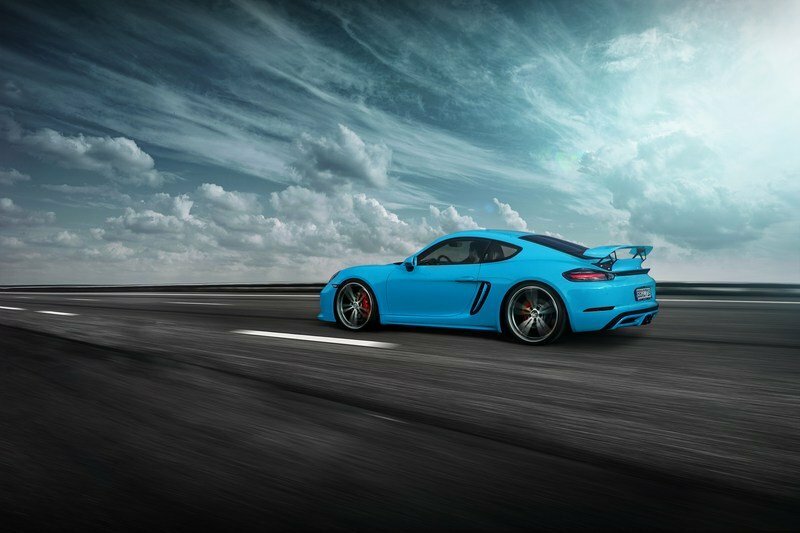 Other performance figures worth remembering for owners of the 718 Cayman who are interested in TechArt’s tuning program include the sports car’s improved 0-to-100-mph time (8.8 seconds) and 0-to-124-mph time (14.2 seconds). 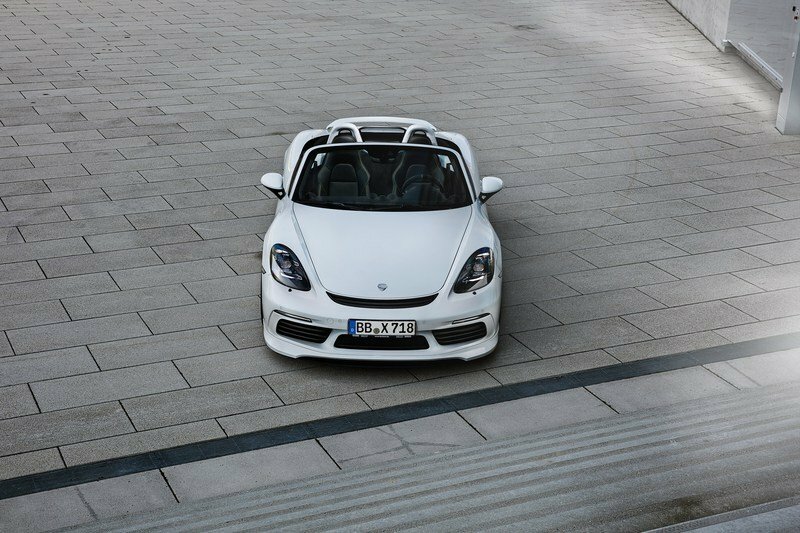 Naturally, the coupe’s top speed also gets a bump to 184 mph, around seven mph quicker than the 177-mph top speed of the stock 718 Cayman. For a clearer look at how TechArt’s TA082/S1 power kit affects the 718 Cayman, check out the breakdown in the table below. For this, we have to go back to SpeedArt’s program for 2014. 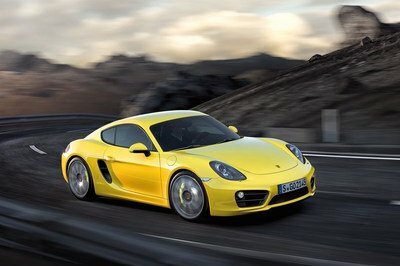 Again, it’s not time-relevant now considering that it was three years ago, but even then, the tuner was able to showcase a wide breadth of modifications available for the always versatile Cayman. In fact, SpeedArt offered a three-stage tuning upgrade for the sports coupe with power gains of 345, 360, and 400 horsepower, respectively. Notice how even back in 2014, SpeedArt’s engine upgrade program for the Cayman could already go up to 400 horsepower. Imagine then what it can do with the new 718 Cayman. Hopefully, we’ll find out soon enough. 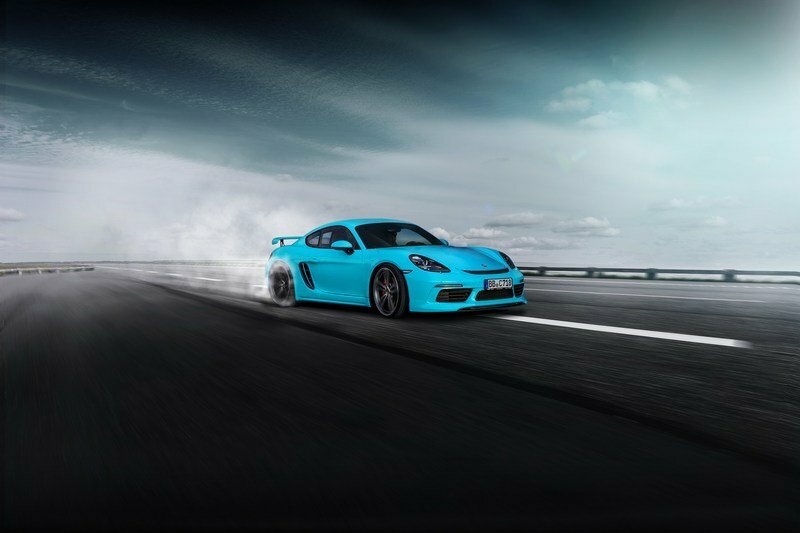 Proving itself to be as versatile a tuner as there is in the business today, TechArt’s kit for the 718 Cayman also includes suspension upgrades in the form of a lowering kit that effectively drops the car’s ride height by 30 mm, or 1.18 inches. 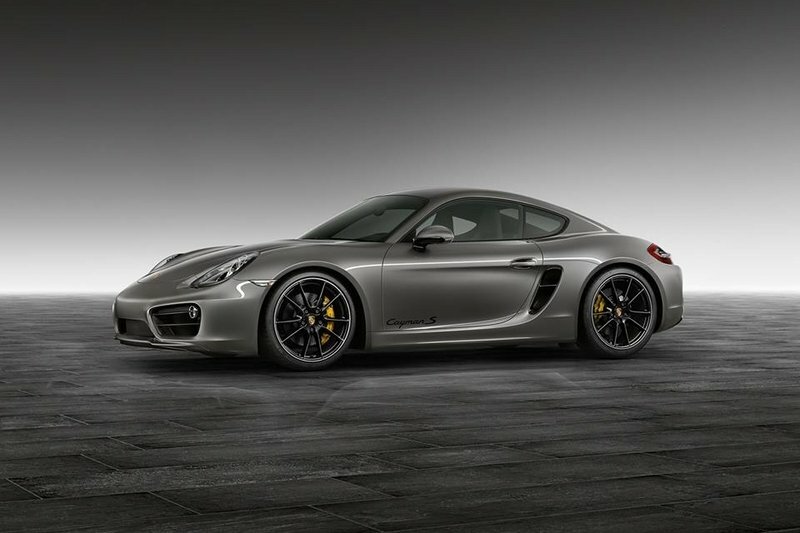 TechArt has yet to reveal pricing details for its new program for the Porsche 718 Cayman. The good news is we’ve reached out to the German tuner for a comment on this regard so when we get them, we’ll be sure to make the necessary updates. We’re barren in this section for the reasons I already mentioned, so instead of lining up current competitors to TechArt’s program for the 718 Cayman, we’ll instead show the numerous possibilities Cayman owners have with regards to aftermarket options for their sports cars. For the most part, TechArt’s kit for the 718 Cayman largely revolves around its TA082/S1 power kit. That’s fine and all, but what if there’s a customer out there who wants to give his Cayman supercar-levels of power. For that, let’s take a look at what RUF once did with the car. 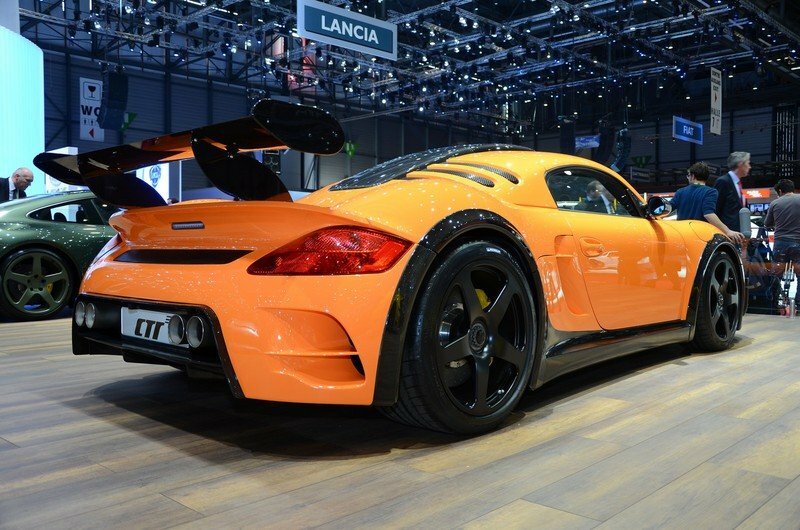 This, ladies and gentlemen, is the RUF CTR3 Clubsport that was showcased five years ago in Geneva. It’s obviously a dated car, but it’s also worth mentioning that RUF was able to coax a staggering 750 horsepower and 708 pound-feet of torque out of the car’s old 3.8-liter turbocharged flat-six cylinder engine. Even more incredible was the fact that with the power gains in full bloom, the RUF CTR3 Clubsport was capable of hitting a top speed of 229 mph. 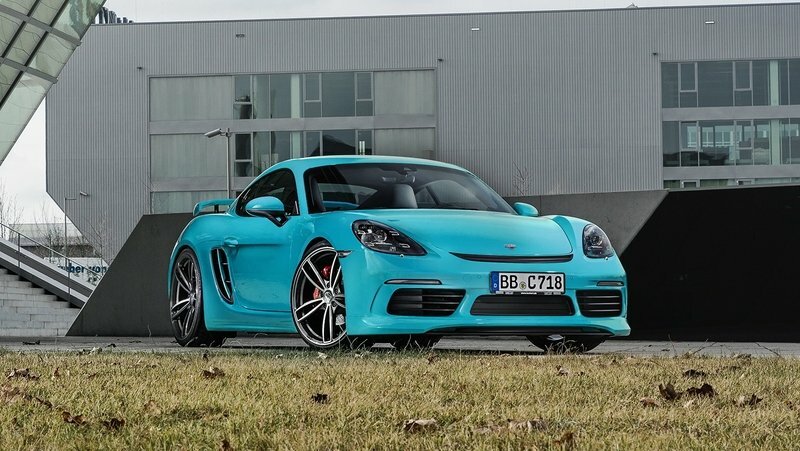 Isn’t it fitting that TechArt, regarded as a savant when it comes to Porsche aftermarket tuning, is one of the first to the party when it comes to a tuning program for the Porsche 718 Cayman? I’m certainly not surprised by the expediency by which TechArt worked on this kit, nor am I surprised that the program turned out to be all sorts of impressive. Between the aero kit, the work on the interior, and the modest but no less significant engine upgrade, the German tuner once again proved its worth. 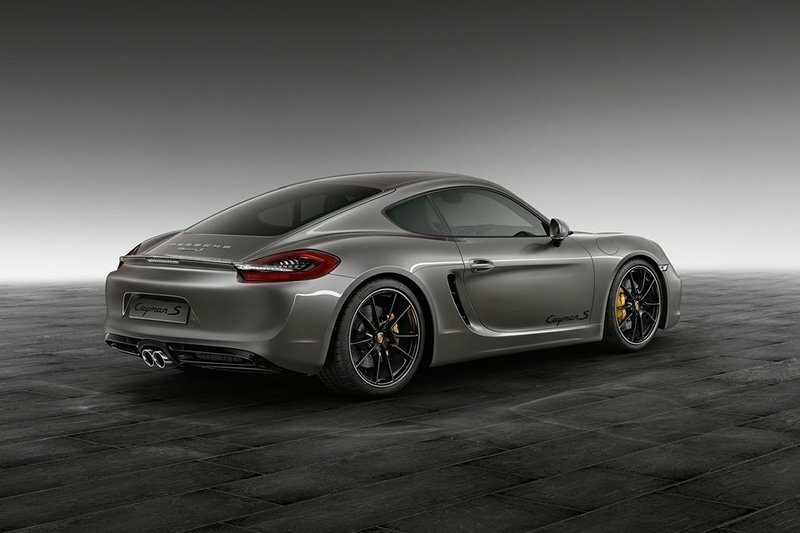 I’m pretty sure that more tuners will eventually present their own kits for the 718 Cayman, but for now (and maybe even then), TechArt’s program is as good as it’s going to get.